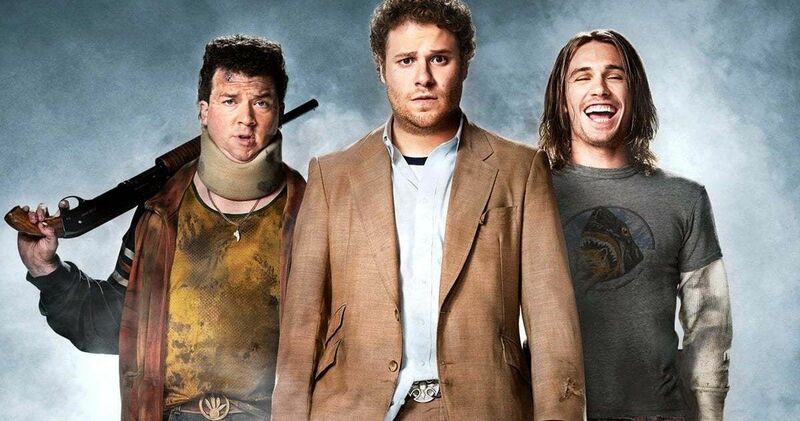 Pineapple Express turns 10-years-old today. The comedy remains one of Seth Rogen’s most beloved movies to date and it almost instantly became one of the seminal stoner movies ever made. Seth Rogen decided to honor the movie’s anniversary by taking to his Twitter account to reveal a bunch of interesting tidbits and fun facts about it. For starters, when the made the movie, there wasn’t actually a strain of weed called Pineapple Express. Here’s what he had to say. It turns out that, despite being primarily a comedy, all of the actions scenes came at a cost to the cast’s health. “Throughout the fight scene in Red’s house in #PineappleExpress, I broke my finger and Danny McBride got his head cracked open when Franco hit him with the bong,” Rogen said. In another tweet he added, “I did 99% of my own stunts in #PineappleExpress, (which might explain all the injuries).” Rogen also revealed that, originally, he and James Franco played different roles. Another interesting fact revealed on the star’s Twitter account is that adult movie star Stormy Daniels was actually featured briefly in the movie. “In #PineappleExpress, Red refers to his ex wife having gotten out of jail recently. There’s a pic of Red and his ex wife, who was played by Stormy Daniels.” They also tried to get a bit clever with the marketing by having a smoking billboard, but the whole thing was shut down by the fire department. Upon its release, Pineapple Express, which was written by Seth Rogen and his longtime creative partner Evan Goldberg, did quite well for itself. The movie carried a budget of $27 million and grossed $101 million worldwide. It was directed by David Gordon Green, who teamed with Danny McBride for the upcoming Halloween movie, which sees Green in the director’s chair working from script he co-wrote with McBride. The movie did reasonably well with critics, as comedies go, scoring a 68 percent approval rating on Rotten Tomatoes. There were possible plans for a sequel. However, Seth Rogen and Evan Goldberg took the idea they had and incorporated it as a bit in This Is The End, which pretty much made it so the sequel didn’t need to happen. You can check out all of the Pineapple Express factoids from Seth Rogen’s Twitter account for yourself below.